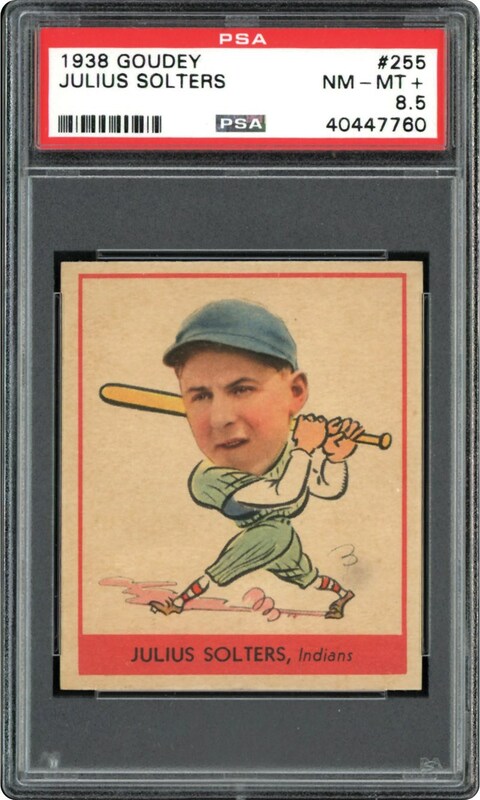 Lot # 105: 1938 Goudey “Heads-Up” #255 Julius Solters (PSA NM/MT+ 8.5) - “1 of 3” & HIGHEST GRADED Example! 1938 Goudey "Heads-Up" #255 Julius Solters (PSA NM/MT+ 8.5) - "1 of 3" & HIGHEST GRADED Example! Here is one you don't see very often! 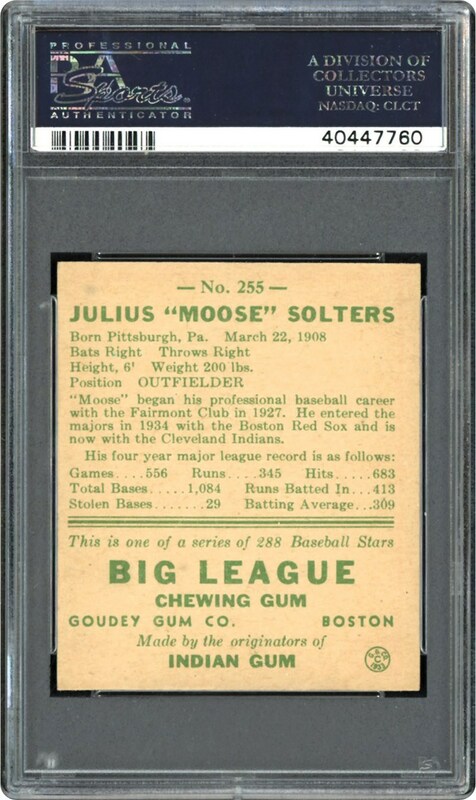 This miraculous 1938 Goudey "Heads-Up" PSA NM/MT+ 8.5 Julius Solters marvel just happens to share the honor with a paltry two other examples as the premier example in the hobby! The Indians slugging outfielder has never looked better than in this miraculous offering that portrays a robust Solters batting pose, ultra-fine centering and pinpoint corners. Its "rare for the grade" distinction is easily substantiated by PSA's "Pop" chart that only reveals 26 of the 5,400+ encapsulated examples (a microscopic 0.5%) at this hallowed assessment!